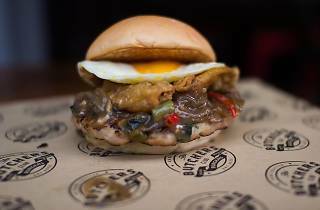 Kicking off its first collaboration session in Singapore, The Butchers Club Burger cedes over its kitchen to Bird Bird's Bjorn Shen on November 4, who'll dish out servings of his Bird Slayer Grapow burger ($23). 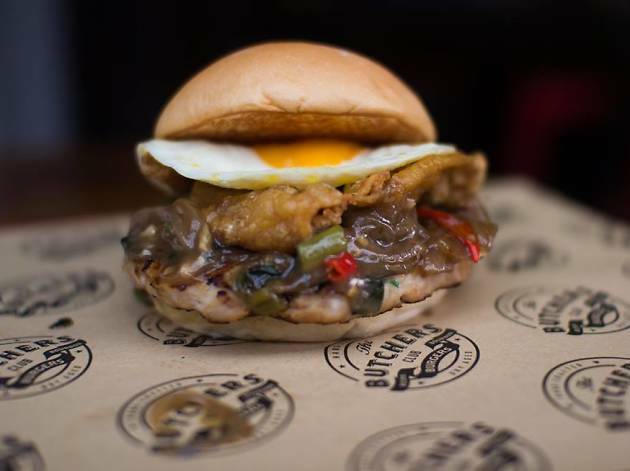 The creation is stacked high with a patty of minced chicken thighs with scallions, spicy Thai basil relish, fried egg, and crispy fried chicken skins for crunch, and will also be available to dine on via the restaurant's secret menu until November 17. Ten percent of the sale of each Bird Slayer Grapow will benefit Save Our Street Dogs Singapore. The Butchers Club Burger full menu will still be available during the takeover.